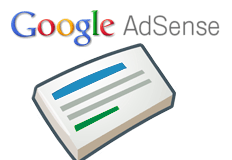 Home > Google News > Google AdSense > Publishers: Is Google AdSense Sustainable In The Future? Publishers: Is Google AdSense Sustainable In The Future? A WebmasterWorld thread has some worried and anxious publishers asking about the sustainability and viability of Google AdSense in their future. Is there enough of a future in Adsense that you will keep creating content even when the payback becomes smaller and smaller? For me, if things don't turn around, I could see myself killing off many future planned projects and websites that I'm passionate about but that are dependent on a Adsense for earnings. If that's all a website has for earning options, then I'm pretty much approaching putting up the closed/out of business sign. At the end of the day why would I bother creating a website with great articles that Google won't really rank.